Q&A #27 – What are the Emulators available in Windows Phone 8 SDK? What are the Emulators available in Windows Phone 8 SDK? 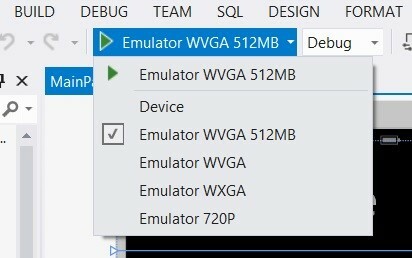 When developing a Windows Phone applications using the Windows Phone 8 SDK, the developers have the option to test their Windows Phone App on the following emulators.